Hard to believe, but we are coming to the end of our 3rd year in Cambodia! 2016 has been busy. We trained two additional hospital teams—2 nurses and 6 physiotherapists—in swallowing evaluation and therapy. Five physiotherapists at a third hospital began a study of speech and language therapy as well. At National Pediatric Hospital, seven physiotherapists are participating in an ongoing program to learn communication strategies for children with cerebral palsy. The number of trainees has reached 30 across 5 hospitals. 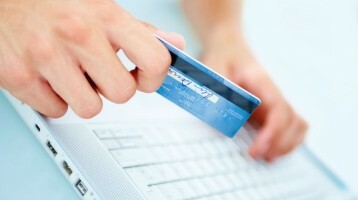 A very exciting new training took place in January. 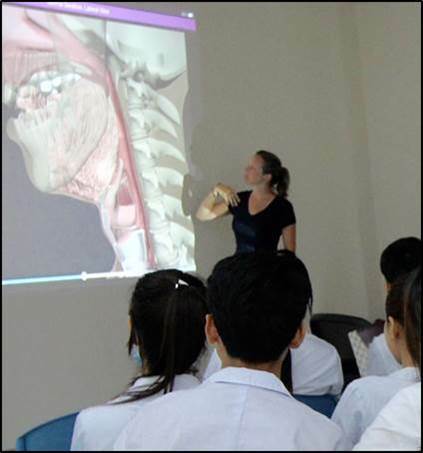 Dr. Susan Langmore taught the state-of-the-art laryngoscopy evaluation techniques [FEES] to seven of our best from Khmer Soviet and Calmette Hospitals. This is a procedure that Dr. Langmore orginated 30 years ago. The training was a great success, and Dr. Langmore and a colleague will be back in 2017 to teach these skills to 8 more medical professionals from two additional hospitals. Furthermore, Dr. Langmore has helped secure two donations of endoscopic equipment for our hospitals! Since 2015, we have also been active in workshops and presentations, both in Cambodia and worldwide. We presented at the Annual Medical Surgical Conference in Phnom Penh, conducted a three-day continuing education workshop for physical therapists in Phnom Penh at the request of the Cambodia Physical Therapy Association, conducted a two-day informational seminar for nursing and midwifery students at University of Puthisastra, Phnom Penh, participated in a 90-minute web event sponsored by ASHA’s Asian Pacific Caucus, and were invited speakers to present on sustainability at the annual ASHA Convention in 2016. 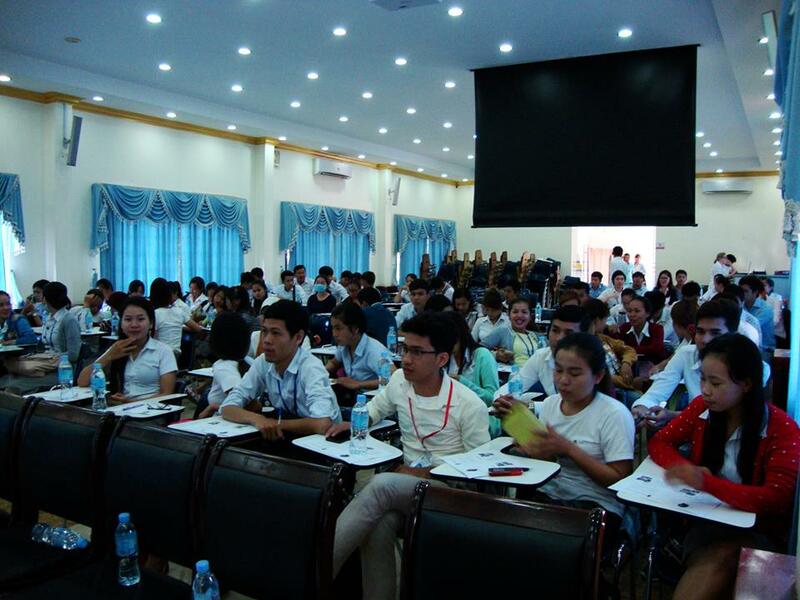 University Programs in Cambodia are also being planned. In the fall of 2017, we will be participating in — and finding instructors for — two 4-month-long speech pathology courses at two Cambodian universities, one for pediatric disorders and one for swallowing. 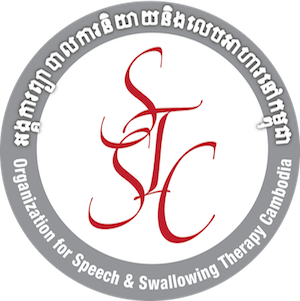 Big news is that STC is now also SSTC (Speech and Swallowing Therapy Cambodia) with a Khmer name as well. 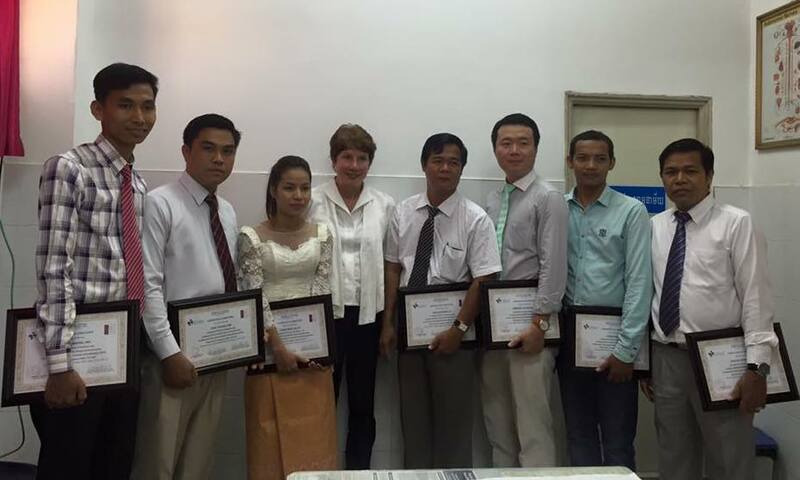 SSTC is registered as a local NGO run by Cambodians with official recognition by the Ministry of the Interior. 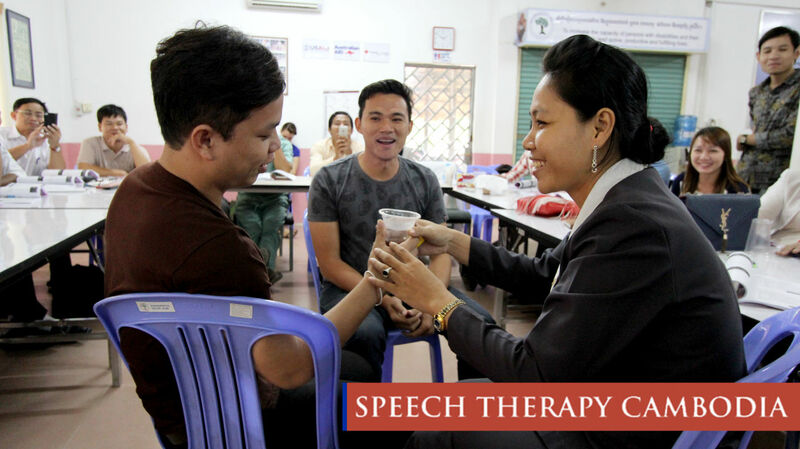 Registration as a Cambodian organization is very important for getting the government involved in what is happening in Speech Pathology and represents a major step in creating a sustainable presence in Cambodia. We have MOUs (contracts) with three hospitals now, and a fourth MOU is in the planning stages. We are gratified to be receiving so much support from these government hospitals at the highest level of administration.